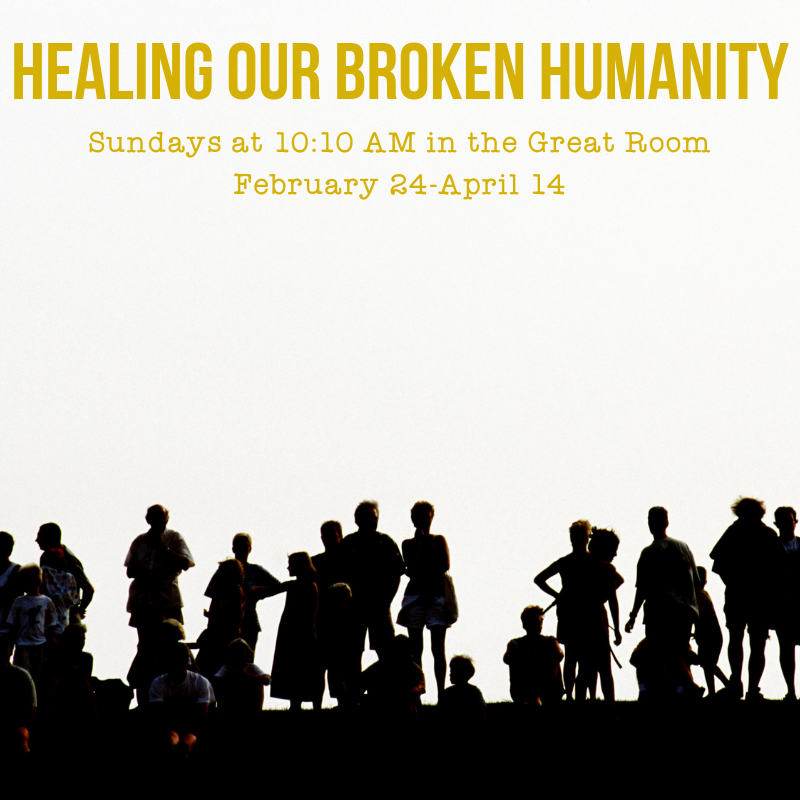 Beginning February 24, we will have an all-adult study in the Great Room called, “Healing Our Broken Humanity.” The class takes its name from Grace Ji-Sun Kim’s and Graham Hill’s book Healing Our Broken Humanity: Practices for Revitalizing the Church and Renewing the World, which will be used as a resource for our class. But, don’t worry: you are not required to ready anything (except maybe a little scripture when we get together each week). Together, we will discuss the need for healing and hope we see in our world, as well as spiritual practices and endeavors that can help us transform the world as Christ followers. Class will meet at 10:10 am, February 24- April 14. We will also offer our Journey Class: Building Blocks: The Beginning of Jesus’ Public Ministry. Class will meet at 10:10 am, February 24- April 14 also.